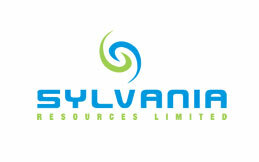 Sylvania Platinum have now released their interim results for the year ending 2019. Revenues increased by $3.9M and after cost of sales was up $2.2M, including a £493K increase in depreciation the gross profit grew by $1.7M. General and admin costs grew by $226K but other income was up $29K and the operating profit was $1.5M higher. Finance income was down $46K and finance costs were up $45K but the tax charge reduced by $137K to give a profit for the period of $7M, a growth of £1.6M year on year. When compared to the end point of last year total assets declined by $405K driven by a $14.5M decrease in receivables, a $6M decline in property, plant & equipment, a $1.3M decrease in exploration and evaluation assets, a $573K fall in loans to Ironveld and a $571K elimination of the rehabilitation guarantee investment, partially offset by a $14.1M growth in contract assets, a $7.6M increase in cash and a $922K increase in loans receivable. Total liabilities have declined during the period due to a $1.7M fall in deferred tax liabilities. The end result was a net tangible asset level of $57.5M, a growth of $2.7M over the past six months. Before movements in working capital, cash profits increased by $6M to $14.1M. Tax payments increased by $1.1M to give a net cash from operations of $11.9M, a growth of $4.8M year on year. The group received $692K as a refund for rehabilitation insurance but spent $3.7M on property, plant and equipment to give a free cash flow of $8.5M, an improvement of $11.1M year on year. They then spent $1.3M on dividends and $120K on their own shares to give a cash flow of $7M and a cash level of $20.2M at the period-end. The SDO achieved 34,045 ounces for the first half of the year under very difficult operating circumstances. This was a slight improvement on the 33,892 ounces in the same period of last year. The operational challenges experienced in Q2 had a direct impact on ounce production resulting in al lower than expected production performance. The Lesedi operation experienced significant downtime during November and December due to water shortages in the area, resulting in the plant only being able to treat 52% of its planned treatment tonnage in Q2. In addition, Doornbosch’s dump re-mining, where the current dump is reaching its end of life, experienced significant downtime and feed instability that impacted negatively on plant throughput and recovery efficiencies. Other contributors to lower than planned PGM production for the period were the lower percentage of fresh arisings feed received from the host mines at both Tweefontein and Millsell during the last quarter, following safety stoppages related to underground incidents external to the group’s operations, as well as oil contaminated feed material impacting on recoveries in Q1 at Mooinooi. The gross basket price was $1,201 per ounce compared to $1,057 per ounce in the first half of last year. Although the price of platinum dropped, the steady increase of both Palladium and Rhodium has had a favourable impact on the basket price. Revenue from by-products increased by $1.4M from the comparative period in the prior year. Ruthenium increased from an average for the period of $98 per ounce to $262 per ounce and Iridium increased from $969 to $1,452 per ounce. The project Echo MF2 modules are progressing well with the Millsell and Doornbosch modules in operation since early 2018 and Mooinooi module under construction and expected to be commissioned during the last quarter of the year. Doornbosch MF2 performed according to design since commissioning, but Millsell was performing below design and had some initial challenges related to new fines flotation technology which was only resolved with the retrofit and commissioning of new high intensity flotation mechanisms in the circuit towards the end of 2018. The plants at both operations are expected to deliver to full potential going forward. The Tweefontein MF2 is still delayed due to the constraints on the national power utility’s electricity supply infrastructure to the Tweefontein mining complex. The upgrade by the power utility has started but the completion date is currently undetermined. The Lesedi chrome plant project, comprising of the dismantling and relocation of the redundant Steelpoort chrome circuit, has commenced and is expected to be completed in the second half of the year. This will enable chrome removal ahead of Lesedi’s PGM plant, aligned with the standard SDO operating model employed at existing operations in the group and will contribute towards higher PGM feed grades and ounce production at the operation. During the period monthly instalments of R222K were paid to the investment linked to the rehabilitation insurance guarantee. These guarantees have been moved to a new facility and the investment was withdrawn and the account closed. The investment is no longer required as the method of funding the rehabilitation has changed. The balance of the funds were transferred to the company in January. Going forward, management have taken corrective action and implemented various improvement measures to address challenges experienced during the period in order to mitigate the impact and to ensure that planned production targets are met for the remainder of the year. Although the SDO team is looking for alternatives to compensate for H1 losses in the second half, they have revised the current PGM production guidance for 2019 to between 73K and 76K ounces. At the current share price the shares are trading on a PE ratio of 9.1 which falls to 5.5 on the full year consensus forecast. The shares are yielding 1.3% which increases to 2.9% on the full year forecast. 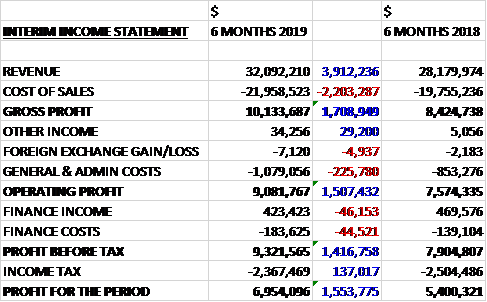 Overall then, operationally this has been a very difficult period but this has not translated over to financial performance with profits up, net assets increasing and the operating cash flow improving with plenty of free cash being generated. Production was slightly up but the performance seems to have been down to the rise in the basket price for PGM products with the more minor products all increasing to more than offset the weak price of platinum. Lesedi has struggled with continued high costs and water shortages, and it doesn’t seem as though these have been fully sorted yet. Doornosch is also struggling with feed instability at the end of life dump and both Tweefontein and Millsell have suffered lower arisings due to safety stoppages. This has caused production guidance to be lowered for the year. 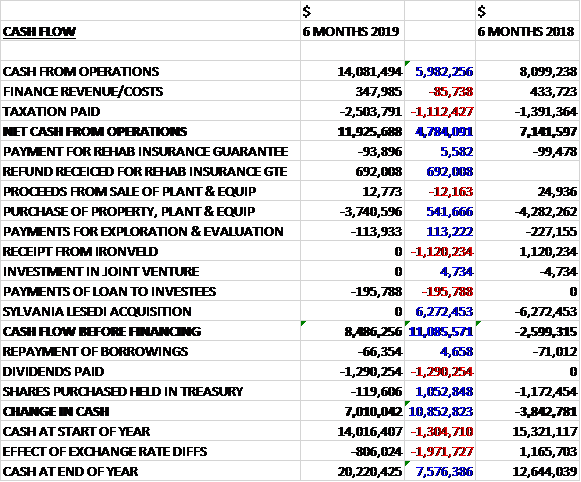 Despite this the shares are still looking decent value with a forward PE of 5.5 and yield of 2.9%. 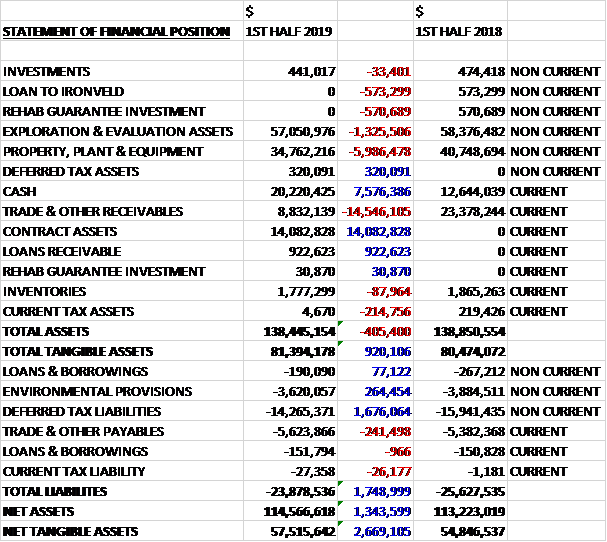 I continue to hold as long as the basket price remains favourable.